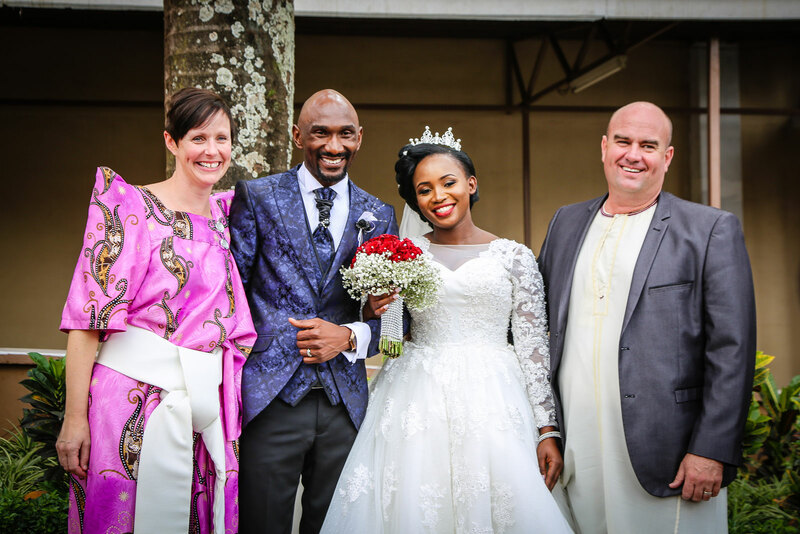 When Jonathan and Rebecca started sponsoring Ronald, they had no idea that, more than 20 years later, they would become the guests of honour at his wedding in Uganda. My name is Ronald Jelo and I am 30 years old. I am the youngest to nine older siblings. 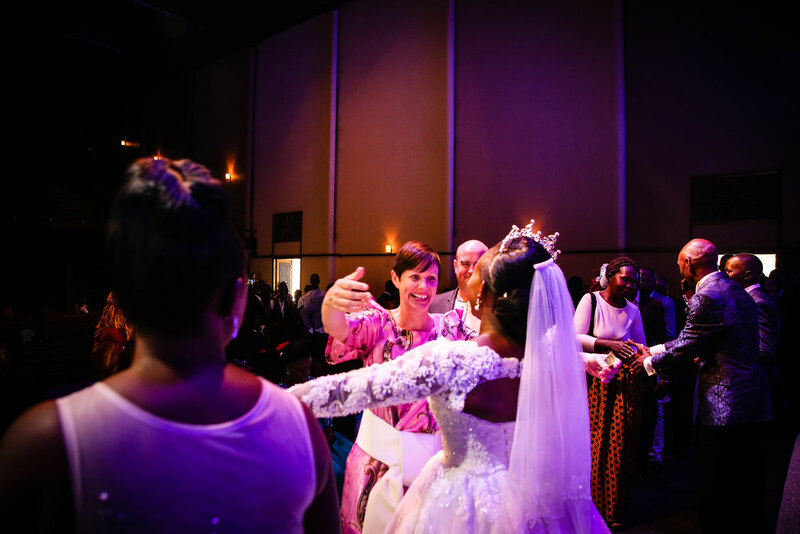 These days I am the Children's Church Coordinator for Watoto Church. I grew up in Uganda, in a suburb called Ntinda. Because we had no land or means to make money, Mum would sometimes buy matoke from other farmers and sell it in the city market. Sometimes there was no food at home. Mum used to really struggle for school fees; she had nothing to give us and struggled to support us. Finally, Compassion took us on board and I was given a sponsor. I remember feeling so happy knowing that I would now be able to go to school without being chased away for not having my school fees. The different kinds of programs we did at the [church centre] added a lot in my life. I remember when I found out [Jonathan and Rebecca had sponsored me]. I thought they were so beautiful. They would update me about their lives and sent me pictures of their children. One day my mum was murdered. I was 14 years old. I remember feeling speechless. How can this be? After Mummy died, my sponsors encouraged me a lot. I graduated the program at 22 years old and we lost contact, [but] I never forgot about them. And from time to time I would go through their letters and photos. I don't think they realised that I saw them as my parents. About five years later, I tried to reach them on Facebook. I would type their names and compare the pictures from their letters with the profile pictures. One day I found them! I saw Jonathan's bald head and Rebecca laughing. I wrote, "Hey guys, this is Ronald who you used to sponsor. I just want to say THANK YOU!" We set up a Skype call, and it was so amazing to see them online. We had much to catch up on. I had no girlfriend at that stage, but I used to joke with them that when I got married they would have to come to my wedding. Last year, I met Norah and we got engaged. Of course, I told [Jonathan and Rebecca] they have to come to my wedding! When they told me they could come, I didn't believe it. It was only when they sent me their online booking that I became speechless and sat in my room and cried. 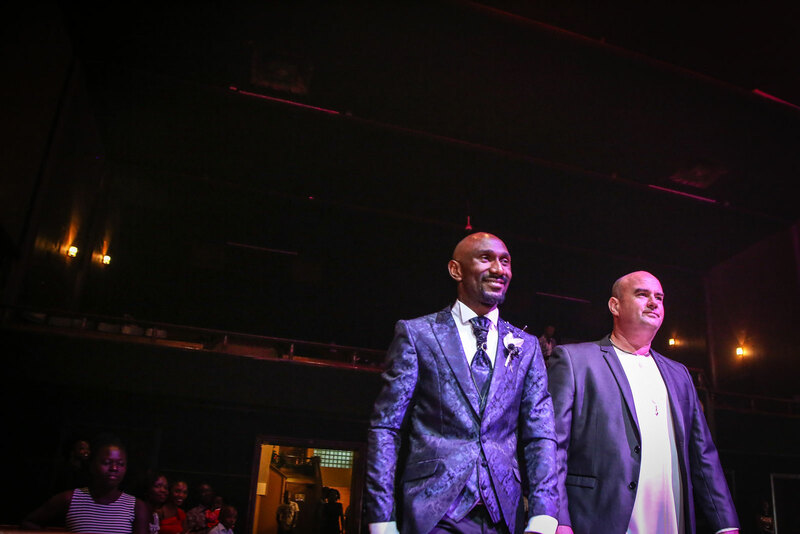 God was fulfilling the promise he'd given me. When I meet them, I think I will cry. I can't tell you what I'll say to them; it's going to be an emotional evening. I want [Jonathan] to walk me down the aisle. Then, that night at our reception I'm going to publicly celebrate their 21st wedding anniversary in the middle of my wedding. My biological [parents] will not be there, but [my sponsor parents] will. JONATHAN: I do leadership training and executive coaching. We are an Australian family but these days are living in North Carolina, USA. REBECCA: I have an education and music background. I remember March 1996 because it was when we met Ronald. We'd always had a passion for Africa and we went to church that morning and heard a message from a Compassion staff member, who told us that even though we couldn't be there on the ground, the first step was to engage with one child. JONATHAN: From the very first letter Ronald sent us, we could tell he had self-determination and drive. 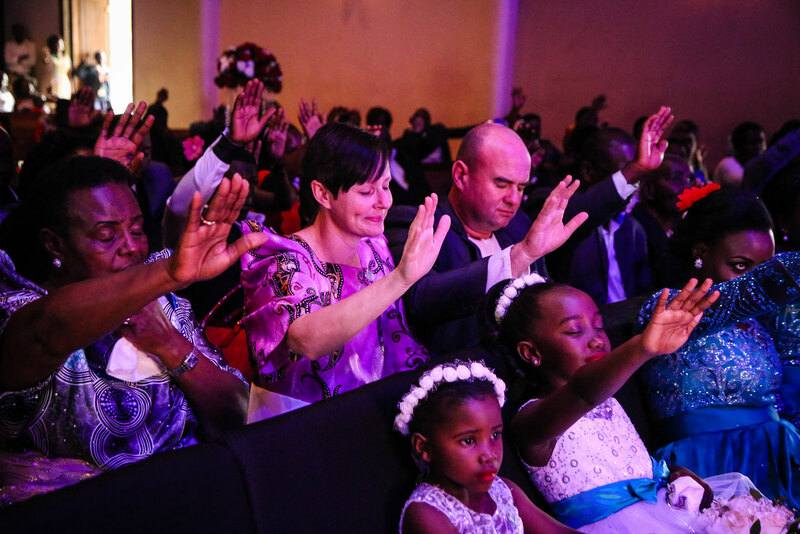 REBECCA: He would say, "I am so thankful for you, I praise God for you, this is what I'm doing at school, and this is what my family is up to." The relationship built from that foundation. So, when his mum died, [when he was] 14, I was so desperate to help. It was really at that moment that our relationship with Ronald went to the next level. JONATHAN: He used to tell us that he would love to meet us one day. Of course, we felt exactly the same, but it was hard to imagine that ever happening. In May 2016, we finally had a two-way conversation, over Facebook. REBECCA: I cried the whole time; it was just so overwhelming. JONATHAN: It's easy to go through life and not think about the impact child sponsorship has. But for me, the world's a smaller place now because of him. I see Ronald serving exactly as he said he would one day. I see him married to a beautiful girl and I see how God has worked in bringing us all together. He has been so faithful. 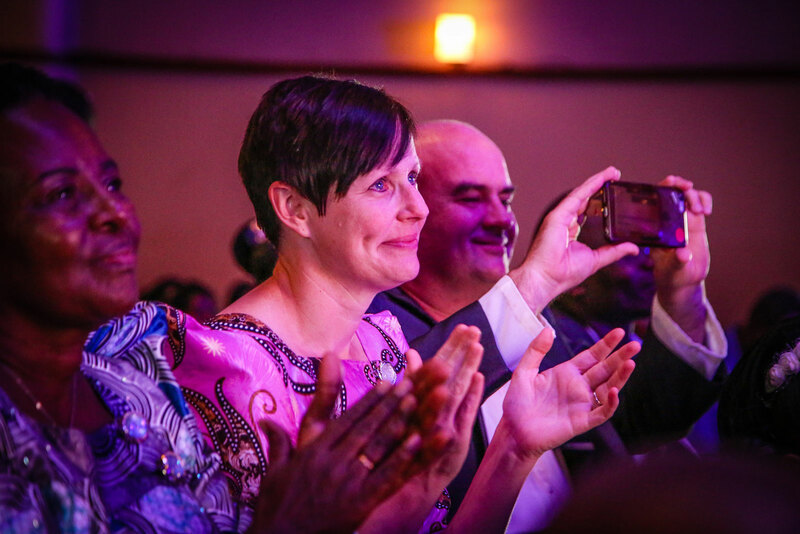 REBECCA: Child sponsorship has meant so much to me because of [Ronald]. I've always looked at him as an extension of our family. 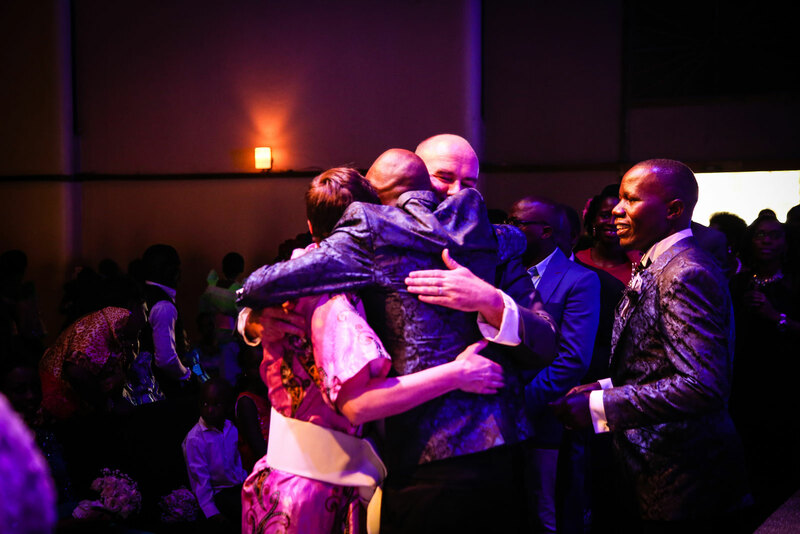 When we finally got to meet at the airport [in Uganda, I] felt like a mother meeting her son. As he hugged me, he said, "I don't want to let you go." I said, "We've spent so many hours getting here, I'm never letting go!" JONATHAN: I had no idea he wanted me to give him away until we got here. Wearing traditional dress that he picked out for us was a special way for us to feel part of the ceremony. REBECCA: I just kept pinching myself. From when this boy was eight he'd been so determined. He'd tell me he would be a pastor, he'd get married, he'd meet us one day. And here we are, at his wedding. JONATHAN: I'd encourage anyone considering sponsorship to take it seriously. It can so easily become a "set and forget" payment. Even if it was, you'd still be doing something great - but there's just so much more you'd be missing out on. So much richness. REBECCA: We've just taken on one more sponsored child. It's time to do it all over again. Ronald has inspired us to do that. 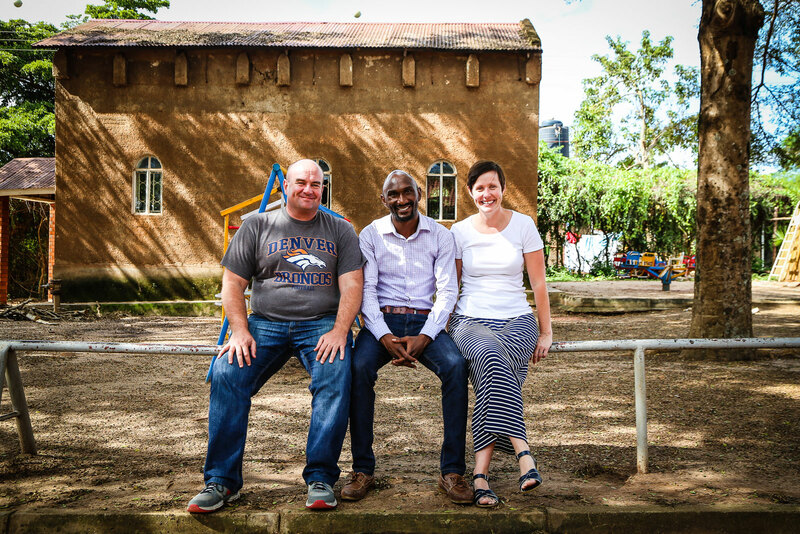 Jonathan and Rebecca with Ronald outside his former Compassion child development centre in Kampala. Rebecca, a trained concert pianist, held a fundraiser which helped to build a new toilet facility at the centre.